The Cortisone Shot: Useful, Useless or Harmful? Mayo Clinic finds surprising results on first-ever test of stem cell therapy to treat arthritis. JACKSONVILLE, Fla. — Researchers at Mayo Clinic’s campus in Florida have conducted the world’s first prospective, blinded and placebo-controlled clinical study to test the benefit of using bone marrow stem cells, a regenerative medicine therapy, to reduce arthritic pain and disability in knees. The researchers say such testing is needed because there are at least 600 stem cell clinics in the U.S. offering one form of stem cell therapy or another to an estimated 100,000-plus patients, who pay thousands of dollars, out of pocket, for the treatment, which has not undergone demanding clinical study. The findings in The American Journal of Sports Medicine include an anomalous finding — patients not only had a dramatic improvement in the knee that received stem cells, but also in their other knee, which also had painful arthritis but received only a saline control injection. Each of the 25 patients enrolled in the study had two bad knees, but did not know which knee received the stem cells. Given that the stem cell-treated knee was no better than the control-treated knee — both were significantly better than before the study began — the researchers say the stem cells’ effectiveness remains somewhat uninterpretable. They are only able to conclude the procedure is safe to undergo as an option for knee pain, but they cannot yet recommend it for routine arthritis care. “Our findings can be interpreted in ways that we now need to test — one of which is that bone marrow stem cell injection in one ailing knee can relieve pain in both affected knees in a systemic or whole-body fashion,” says the study’s lead author, Shane Shapiro, M.D., a Mayo Clinic orthopedic physician. “One hypothesis is that the stem cells we tested can home to areas of injury where they are needed, which makes sense, given that stem cells injected intravenously in cancer treatments end up in the patients’ bone marrow where they need to go,” he says. “This is just a theory that can explain our results, so it needs further testing.” Another explanation is that merely injecting any substance into a knee offered relief from pain. 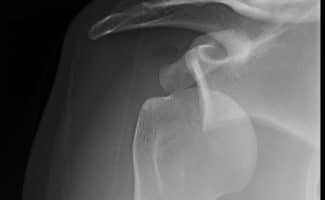 Impingement Syndrome [Video]: Can A Bone Spur Cause Shoulder Pain?